News just in from the Old South Bluegrass Camp is that after what members of the band believe to be a pretty decent run, they have decided to go their different ways. 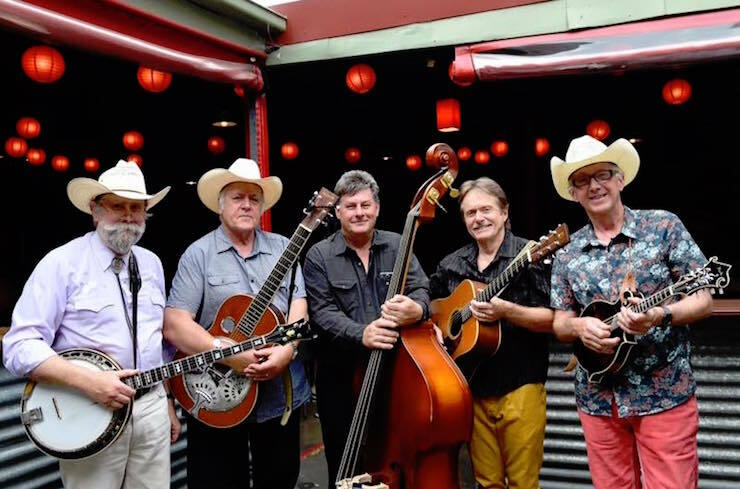 Adelaide based band, Old South Bluegrass emerged some five years ago taking in various festivals and making concerts appearances across southern Australia. Their beautiful blend of harmonies and masterful instrumentation left you in no doubt about their bona-fides. This band did great justice to the Old Southern music traditions. Old South Bluegrass consists (consisted) of Phill Parker on guitar, Andrew Hook on mandolin and guitar, Dave Taylor on bass, Leonard Cohen on Dobro and Geoff Bridgland on banjo and fiddle. The band leave a legacy of two high quality CD recordings; “Live At The Boardroom“, recorded in 2011 and “The Old Hanging Tree“ from 2015″. We in Old South Bluegrass have enjoyed taking our brand of bluegrass to Australia over the last five years. We’ve decided that after two albums and many shows and festivals, the time has come for us to part. Andrew, Dave, Geoff, Leonard and Phill would like to thank our families, friends, fans and the Australasian bluegrass community for their support. We hope to see you around the bluegrass scene – Old South Bluegrass.